According to Entertainment Weekly, Fox has renewed surprisingly popular animated sitcom The Simpsons for two more seasons, despite the fact that the show doesn’t do a very good job of promoting traditional family values. For one, the dad (Homer) is loud, rude, and often drunk. Is that who children—the target audience for all cartoons—should be looking up to? 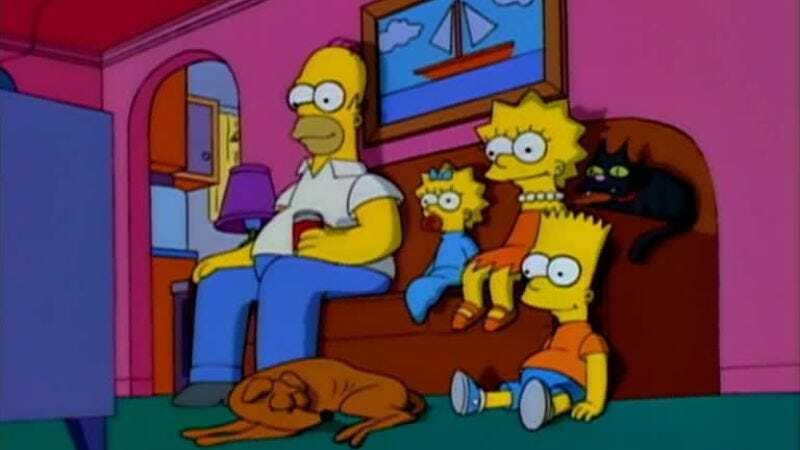 And don’t get us started on the boy, Bart, who is practically the devil. This Simpsons show, which has been poisoning minds since 1989, will now make it through a 28th season. Early reports (that we made up) suggest that every episode in these next two years will be made entirely of slightly altered storylines that the show has already done. For example, we expect there to be an episode where Lisa sells her soul to her friend Janey, one where Marge gets a job working for a James Bond villain, and one where Mr. Burns threatens to take away the union’s retirement plan. There’ll be a great bit in the last one where Carl says “So long, retirement plan!” over and over. Also, with these two extra years, the odds of The Simpsons outliving the human race just got a little bit better.